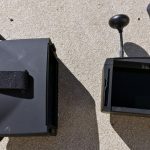 Whether you prefer goggles or box-style screens, all-in-one head-mounted units dominate the FPV landscape, and these products keep getting better. Have we made ground stations obsolete? The case for a ground station is certainly diminishing, but don’t count them out just yet. A ground station is the collection of equipment used with a remote craft which stays with the operator (presumably, in a stationary position on the ground). 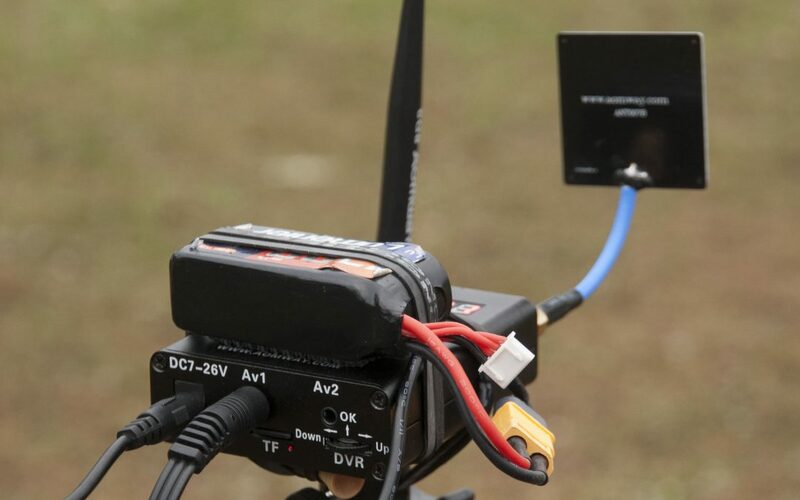 Ground stations for FPV always have a receiver for video and its antenna(s). 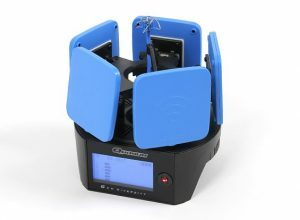 Other components that may be included are a video monitor, battery or power supply, elevated stand, protective case, video recorder, and cabling that connects it all together. You could argue that video goggles are ground stations: they do fit the definition, strictly speaking, and good ones have almost all the same components. For the purpose of this article, we’re making a distinction between goggles, (lumping visor and box style together,) and individual, stand-alone components. Most pilots make the distinction as well as it’s useful for conversation. These three categories are, without question, the reasons why ground stations aren’t the norm. 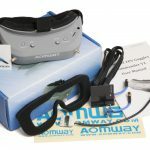 Video goggles have a selection of components built onto the same circuit boards and directly, permanently connected. Each piece of a ground station usually serves an individual, specific purpose. They aren’t optimized for size, weight, or portability. You might toss your goggles into your flight pack, but expect to have a dedicated case for your ground station equipment! Since ground station components are separate, you’ll need cables to connect them together (which you may need to sort, connect, and disconnect each time you use it). Video goggles win hands-down for portability and ease of use. A ground station does win for convenience in other ways. It’s all but impossible for two or more people to share a set of video goggles, but many people can crowd around a video monitor at a ground station to watch a flight in progress. Repairs and upgrades are also much easier with a ground station. If a component fries, you can replace it individually. When something goes wrong with a set of goggles, you’re in for a difficult repair at best. With a set of goggles, you have to choose the specs for all of your components at once. If you don’t like one specific piece, you have to make a compromise. With a ground station, you choose everything yourself and can buy the best equipment in the areas you need while leaving off the parts you don’t want. The best case for a ground station is made in the range and quality of radio reception. Set up properly, a ground station can provide better coverage and avoid multipathing much better than a set of video goggles. You can get this benefit by elevating your receiver antenna. With a ground station, it’s fairly easy to hoist your antenna up into the air with a stand. Basically, the higher you can put the antenna, the better your reception will be. We saw this in our test of the Aomway DIV006, where elevating from head height to 8ft improved reception by 50%. (Definitely do not set your antennas on the ground; you’ll get far worse reception than goggles on your head.) Elevating your antenna works especially well when you can get it high enough to clear the first few Fresnel zones. Elevating your antenna also makes you far more vulnerable to wind. Be sure to secure your stand if wind gusts are possible—you don’t want equipment toppling over and breaking, or worse, hurting someone. Bring stakes, guy wires, sandbags, or whatever it takes to keep your stand secure. This antenna placement puts the obstacle at the edge of the first zone, blocking the second and third. If you elevated one side, you could put the obstacle only in the third zone, or avoid all three. Signal reception is affected by reflections in different Fresnel zones. When a transmitted signal bounces off an object, it travels to the receiver on an indirect path (A→C→B) which is a greater distance than the direct path (A→B). This difference can cause signals to be out of phase, cancelling each other out. The first zone is defined by the area where a bounced signal will be shifted less than 90 degrees. The second zone is where the shift is 180 degrees, the third at 270 degrees, and so on into infinity. Whether these shifts are harmful depends on the antennas in use and the signal polarization relative to the object it bounces off, but each type has some areas helpful and harmful. Either way, the first three zones usually have the largest impact. 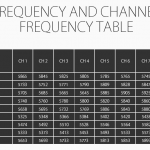 The zones always change relative to the transmitter and receiver. They’re not areas that you can fly in and out of; your quad and receiver are always inside the first zone. If you’re flying, you’ll often move to places where the ground and other obstacles pass in and out of these different zones. When you cause an obstacle to be in a harmful zone, reception is greatly reduced. When you elevate the antenna, you reduce the possible areas where obstacles might end up inside these zones. Since you can’t easily elevate your goggles, this benefit is really only accessible to a ground station. 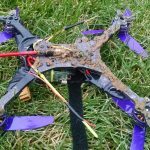 Your ground station can include features that your goggles might not. Size and weight don’t affect the experience once the equipment is set up on the ground. This opens an opportunity for larger, more complicated features that goggles can’t support. 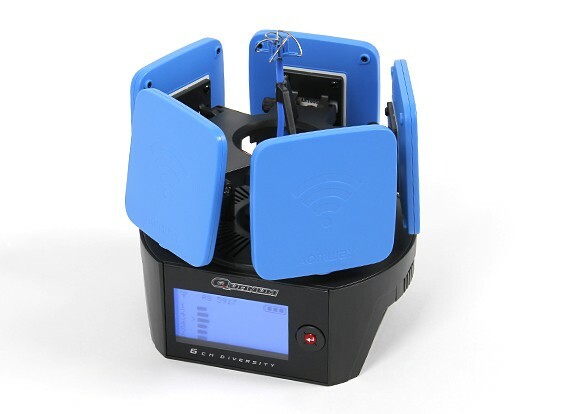 Turnigy Overlord diversity system with 5 directional antennas and one omni. Having two antennas and a diversity controller is best-in-class on a goggle, but it’s just the beginning on a ground station. The Connex Prosight has five antennas to pick up the much wider bandwidth it uses for HD video. Or, for extreme range, the Quanum Overlord uses no less than 6 antennas. By using the right equipment, you can even set up a system with spatial diversity and receive signal from antennas in multiple locations. The Drone Racing League does this for its pilots in order to have its courses traverse behind thick concrete walls. It’s also typical for ground station equipment to have industry standard A/V inputs and outputs. This allows a lot of equipment to be connected: from DVRs to live-streaming equipment to multiple video monitors—all at once, if you’d like. Some of this equipment can keep television screens from blanking out when there’s no signal. At the Maker Faire, we use a ground station to live-broadcast our flights in real time to a 60-inch screen for the nearby audience. So, Do I Need One? These days, many pilots can skip the ground station. Park flyers and racers definitely benefit from the size, weight, and portability of the modern video goggle. Goggles have a great array of the most beneficial features like great receivers, diversity, and DVR. 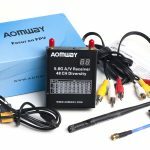 They are extremely convenient to set up and use, requiring little more than plugging in the battery and selecting a video channel. For anyone with more advanced or complicated needs, the ground station is here to stay. They’re necessary for sharing video feeds. I just spoke to someone who wants to set one up on the roof of their car so they can fly from inside it on cold days. There’s an endless opportunity for customization and added features with a wide range of equipment. Most of all, the potential for extremely good signal pickup and range will keep users interested. If you’re happy with the gear you have, don’t run out and begin assembling a ground station today. When you need it, you’ll know.